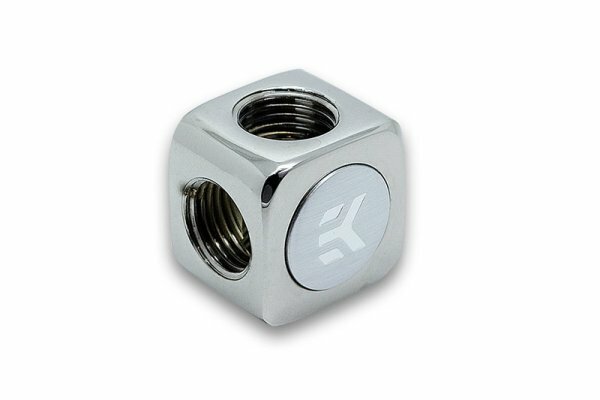 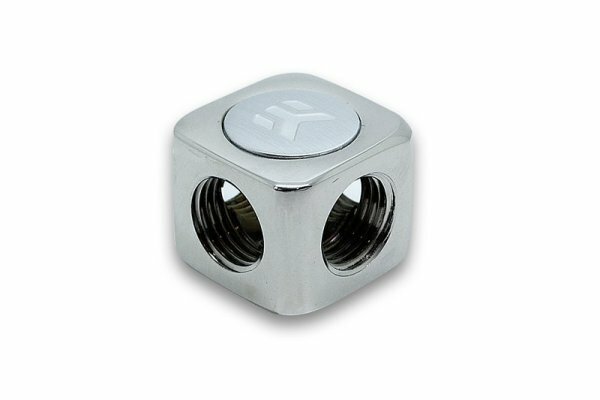 EK-AF X-Splitter is a simple cube-shaped adapter fitting with 4 (four) G1/4″ BSP Female threads. 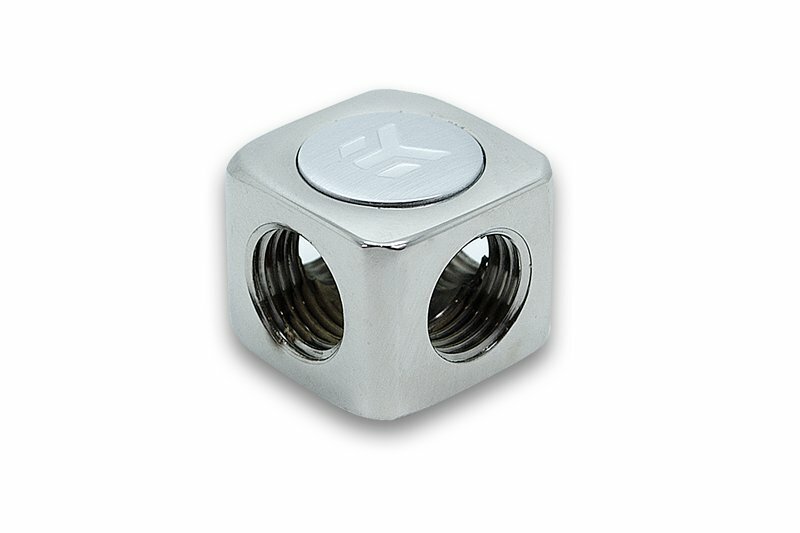 This product is useful for splitting or combining the liquid flow in your loop. 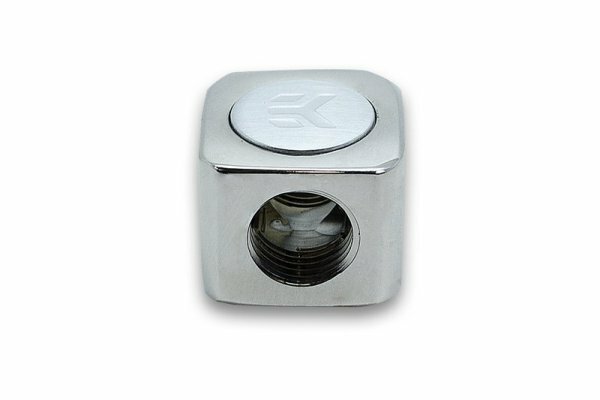 Made from nickel-plated, hand polished brass. Technical data: Threading: 4 x G 1/4″ (All Female) Thread length: 7.0mm Dimensions: 24x24x21mm (WxDxH) ROHS 2.0 compliant!